A subject line can be considered as the gatekeeper of your sale email. It seriously doesn’t matter that how much planning you have done for your latest email campaign and how much effort you have made if nobody sees it. What we do is spend a lot of time into the body of text choosing the right images and everything to make it a super email but the most important thing which will make your email actually read or which will make it actually get opened is decided at the last. Start thinking about your first impression of your emails. Here are 6 compelling tips for your subject lines. The question is a part which arises curiosity. I automatically made our mind understand and answer immediately. Question subject line can help you very well to make your email compelling because people when asked question starts to imagine themselves in this situation. In eager of getting the answer will help you in getting more response to your email. Do you react as a Zombie without your morning coffee? This kind of subject lines works because customers start to relate themselves with the situation which creates an eagerness for them to open the email and check what’s next. Adding a matter of scarcity energize the customers to react and get into it faster. When creating an urgency of something it creates a feeling that very less time is left and a fear of missing out the stuff. But it is very necessary to understand the need of a customer. Suppose if you’re sending an email saying that he will get a free shipping if he makes a purchase in 2 hrs and that customer is least bothered about that product he is no way going to open that mail. So, it is very important to know the real interest of your subscribers. You can track their activities over your website to understand them better. Numbers have a great power to attract people. When we include counting it provides a more clear view of a customer. In the case of blogs, it is found that blogs with Numbers in their headline give more open than non-numbers headline. So start using numbers in your subject line to grab more readers. You can enjoy an amazing success through the subject lines by choosing the right numbers. Because if you are trying to convey some steps then using less number will work good as it will be an easy and quick approach, but if you’re sending some techniques say techniques to increase email list then using large numbers will give your email more value. There is a very technique is being used by several viral websites like Buzzfeed, they hit the curiosity gap of the people. The curiosity gap can be explained as the term between what we know and what we don’t know. When there is gap present in the knowledge it creates an eagerness to know it. So, you can use this technique in your subject lines to make people curious and open up your emails. As you can see these subject lines leave behind a curiosity to open and get into it. Everyone loves to get surprised. 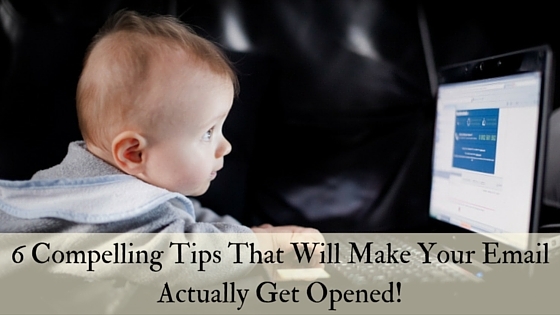 Using surprising phrases in your subject line can also work good and can give you more opens. Creating a surprising environment through your subject line encourages your customers and make them feel good and hence gives more reads for the email. This subject line was used during the election in the USA by the team of Barack Obama. A mail from the president asking for dinner. Who would not want to crack what is in it? Using personalization in your email make your customers feel their importance. By this kind of emails, you can anytime make your customers feel that you’re connected to them on a personal level. The main advantage of personalized emails is you can use this personalization with any of the subject lines. So, these were some of the tips to create a compelling subject line so that you can generate more opens for your email. But, my personal suggestion is there are no rules in the world of email marketing, start making trials and keep on checking that which type of subject line works for you a lot. If you have some more suggestion for subject lines guide us, and like to suggest any other email marketing service providers in India? we will love to be guided.